More Mairsil, the Pretender questions! 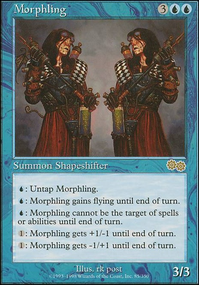 I have a question about the Riptide Shapeshifter combo. 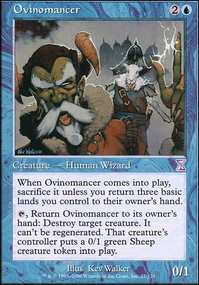 So you cage Riptide Shapeshifter and name vampire, mill till you hit Bloodline Necromancer , get back Mairsil, the Pretender and cage something, then name demon and mill till Razaketh, the Foulblooded (if not already in the graveyard) and sac Bloodline Necromancer for a reanimation spell and get back Bloodline Necromancer . 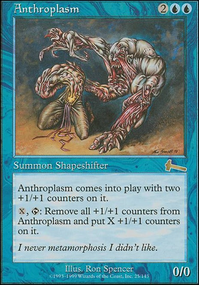 4 mana is required every time to activate Riptide Shapeshifter and to get to the end it is like 10 mana. 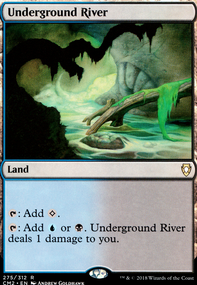 Also, what is the combo with ''Raza+Vamp+Riptide''? 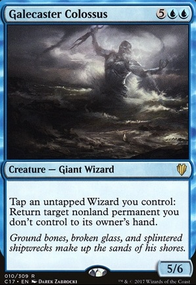 It work with infinite mana, I guess. 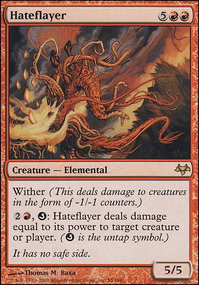 Also, do you have any experience against graveyard hate? How do you not get completely destroyed by it, if any hit the field? 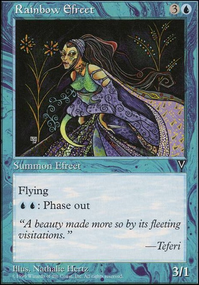 Thanks for the answers and just a side note- you most likely have the best/most interesting Mairsil deck on this website. PayOneLife thats the idea! 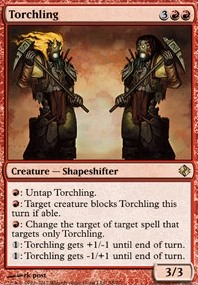 i dont want to create Pack Rat , i want to create Mairsil, the Pretender tokens! 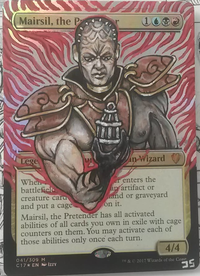 that will trigger Mairsil, the Pretender cage ability, and if i sacrifice the first Mairsil, the Pretender , i will have a new Mairsil, the Pretender on the battlefield,so i can activate all the abilities again! Ty for your comment! Anything else dont be shy in post! Best to you. 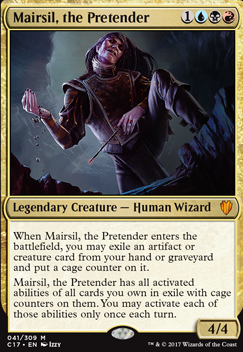 If Mairsil, the Pretender gets hit with a Murder when she enters the battlefield, does she still cage something? Or does that trigger have nothing to attach to anymore? A few points concerning this interaction. 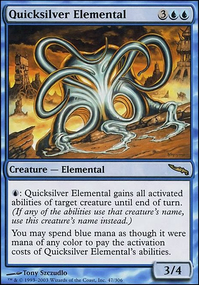 Note that Mairsil, the Pretender 's second ability is a static ability and does not use the stack. 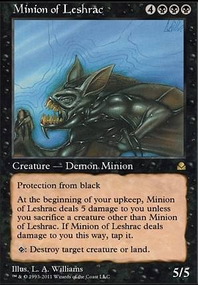 So if there is already a caged AEtherling , Mairsil will have the blink ability. 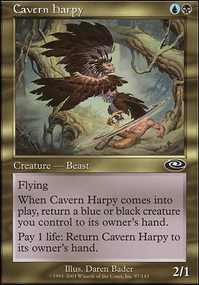 Abilities also exist independently of their source, so even if you Murder Mairsil they can still cage a card from hand or the graveyard to be used next time they cast it. 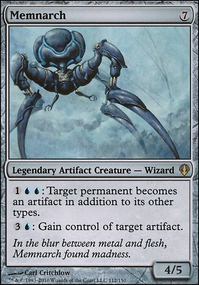 My friend plays a pretty nasty Mairsil, the Pretender edh deck and once Mairsil is attached to something that allows it to bounce at will, it's pretty much game over. 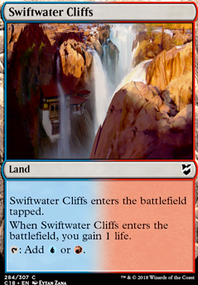 Something that i think i overlooked was that ETB triggers still go on the stack, right? 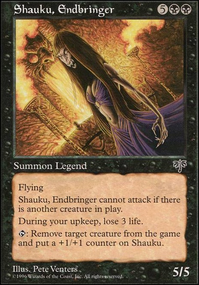 So i should be able to cast a Vindicate on Mairsil and kill her before her ETB effect grabs AEtherling allowing her to bounce, correct?